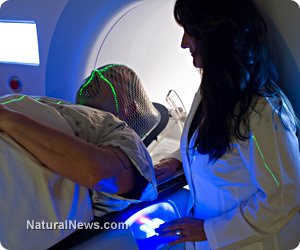 (NaturalNews) Medical radiation accidents are more common than you may think. Whether it's a software glitch or technician error, there are plenty of opportunities for a scan or treatment to go horribly wrong. And technologists are poorly regulated in a number of states, increasing the chances of a serious and potentially life-threatening mistake. As reported in the New York Times, radiation medical technology is far from foolproof. Scott Jerome-Parks entered St. Vincent's Hospital in Manhattan to be treated for tongue cancer. Little did he know at the time, he was about to be exposed to several lethal doses of radiation which would leave him "deaf, struggling to see, unable to swallow, burned, with his teeth falling out, with ulcers in his mouth and throat, nauseated, in severe pain and finally unable to breathe," according to Walt Bogdanich's New York Times article, "Radiation Offers New Cures, and Ways to Do Harm." After receiving errant beams of radiation from a linear accelerator on three consecutive days, Mr. Jerome-Parks died several weeks later. He was 43. Alexandra Jn-Charles is another victim of medical technology gone awry. She suffered from a fatal radiation overdose at the State University of New York Downstate Medical Center during her treatment for breast cancer. Over the course of 27 days, she was given three times the prescribed amount of radiation while the linear accelerator with a missing filter burned a hole in her chest. She died shortly thereafter at age 32, leaving behind her husband and two young children. Up until the New York Times article, both cases were kept from public view by the government, doctors and hospital officials. According to Bogdanich, "Regulators and researchers can only guess how often radiotherapy accidents occur. With no single agency overseeing medical radiation, there is no central clearinghouse of cases. Accidents are chronically underreported, records show, and some states do not require that they be reported at all." This poses a serious safety issue since the industry has little idea as to the scope of error which hinders the ability to correct the problem. To complicate the matter further, training and oversight of technicians can vary wildly. The District of Columbia and at least 16 states do not require registration or licensing for technologists. And eight states permit medical imaging (except mammograms) to be performed by staff without credentials or specific educational background. "It's amazing to us, knowing the complexity of medical imaging, that there are states that require massage therapists and hairdressers to be licensed, but they have no standards in place for exposing patients to ionizing radiation."